As easy as it gets to instantly acquire a classic, sophisticated look, this cozy gray wool-blend piece also comes with the warmth, wear and shape from a double-faced two tone wool blend. Elevate your chic style this season with our double faced wool with spread collar and belt. 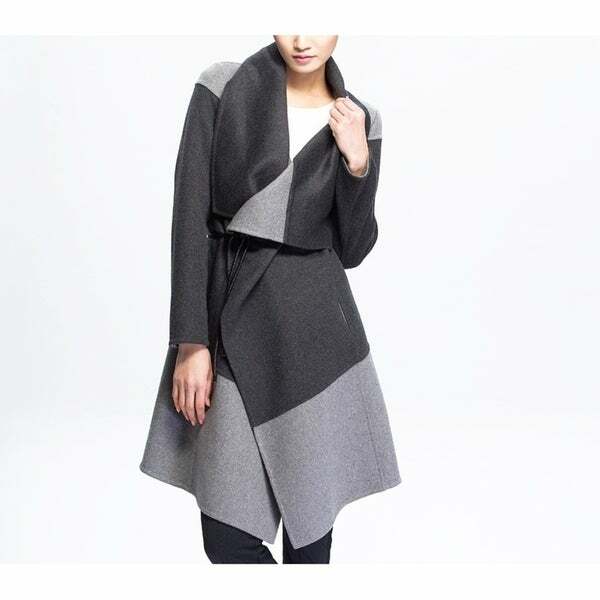 It is crafted with 80% Wool & 20% Polyamide. Dimensions 28.0 In. X 17.0 In. X 1.0 In.